With winter weather hitting hard in the UK, the Bernalda was one of the first pieces to put to the test. 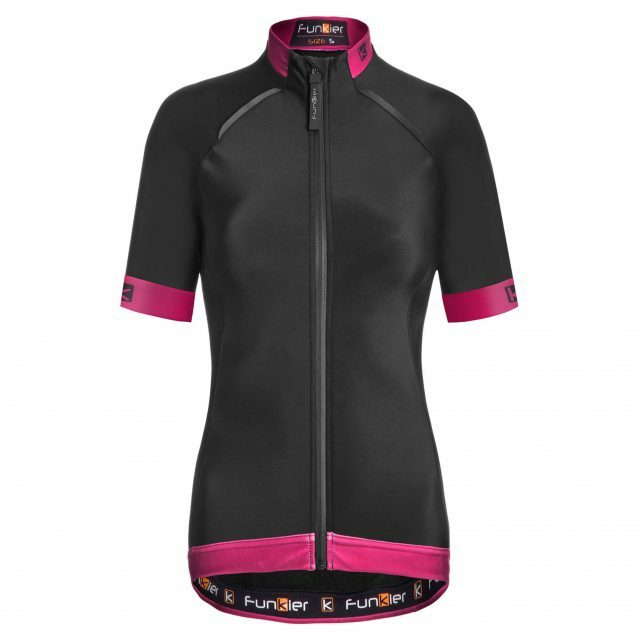 Funkier aim to give high quality materials and design to riders, for not-so-silly prices. 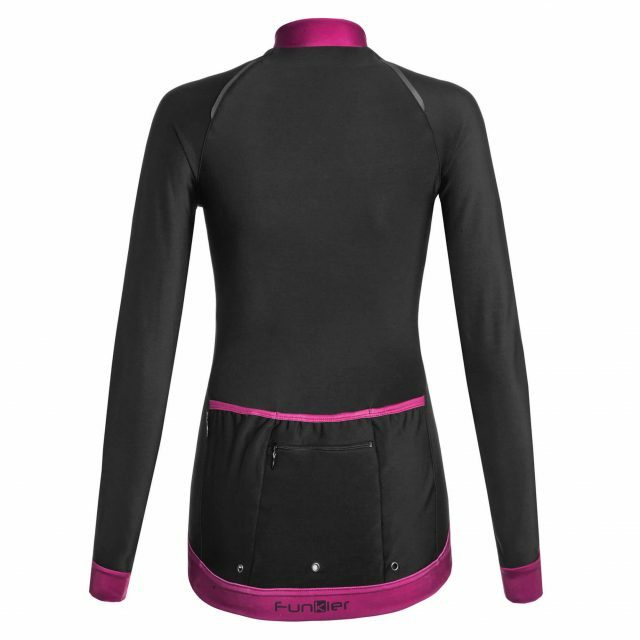 First impressions of this toasty thermal were great – the main body is designed using a dual layer microfleece with a PU coating, which gives a clean shiny appearance to the outer layer. 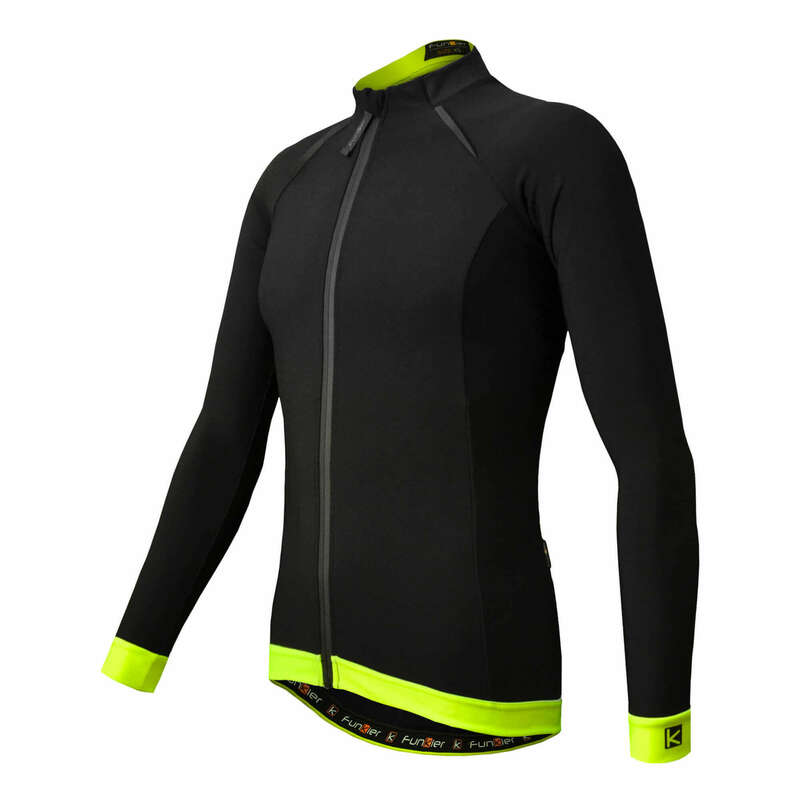 They also use a proprietary fabric called K Pro, which is in fact water repellent, a real plus point in the wet and drizzly UK climate! 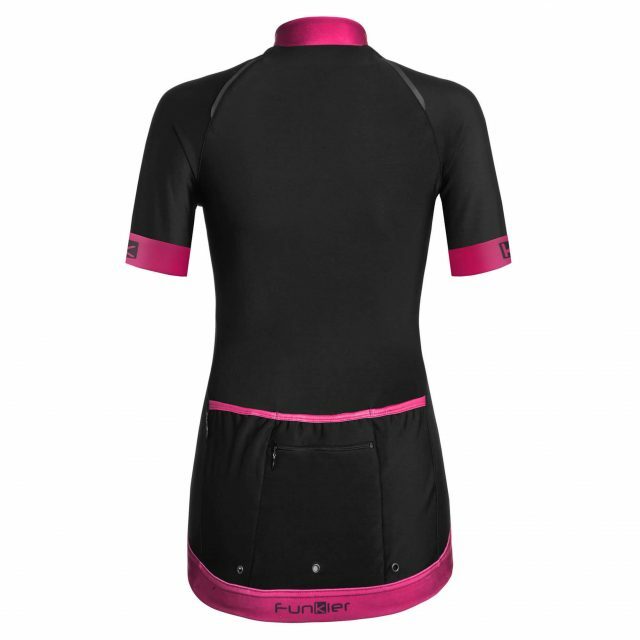 Zipping up, it’s a real race fit so if you like it a little looser, this likely isn’t for you. 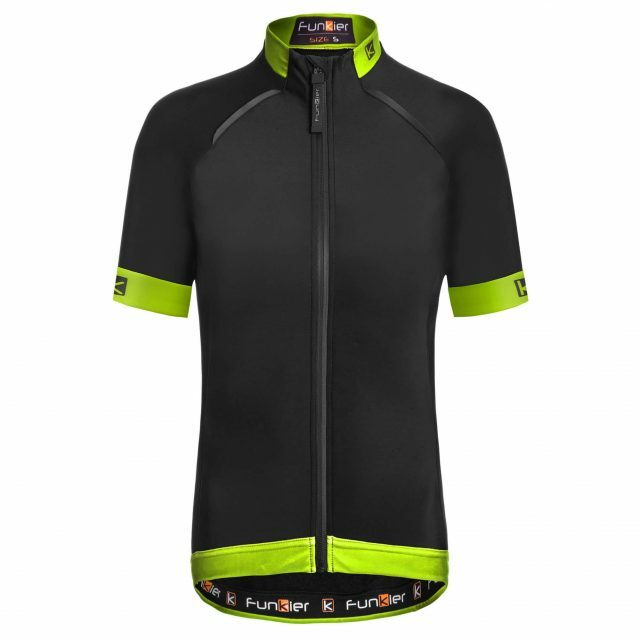 However, if you’re looking for aero efficiency – this jersey has it dialled without feeling restrictive. I was a fan of the substantial zipper too, it felt robust and I can say after a good amount of both wear and wash, the Bernalda has held up well. 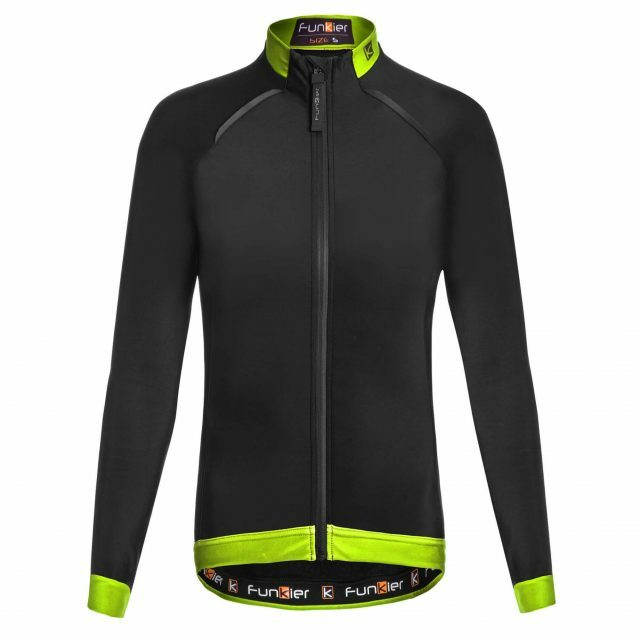 True to winter conditions, the rain was plentiful and put test to the water-resistant claims – indeed it held off the worst of the wet, damp morning rides. 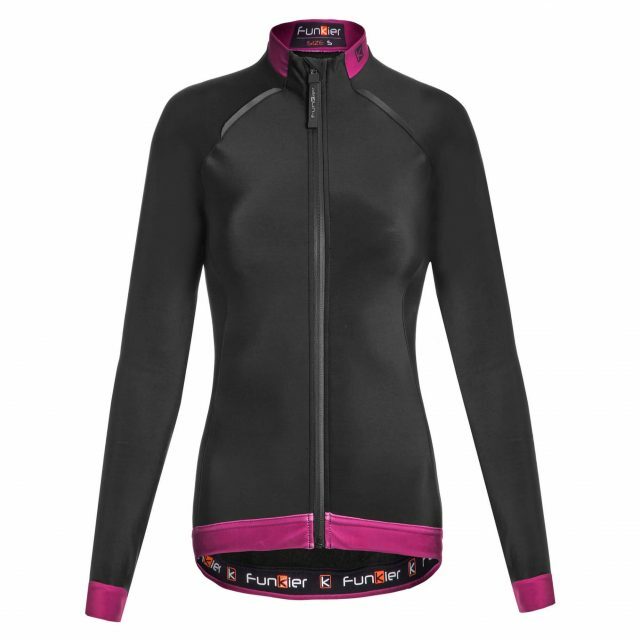 The dual fleece kept me cosy but it’s one to use on the chilliest of days as at times I was getting very warm indeed. As for its protective qualities? I’d certainly be happy to take this on a damp day, but wouldn’t reply on it to shelter me from downpours. 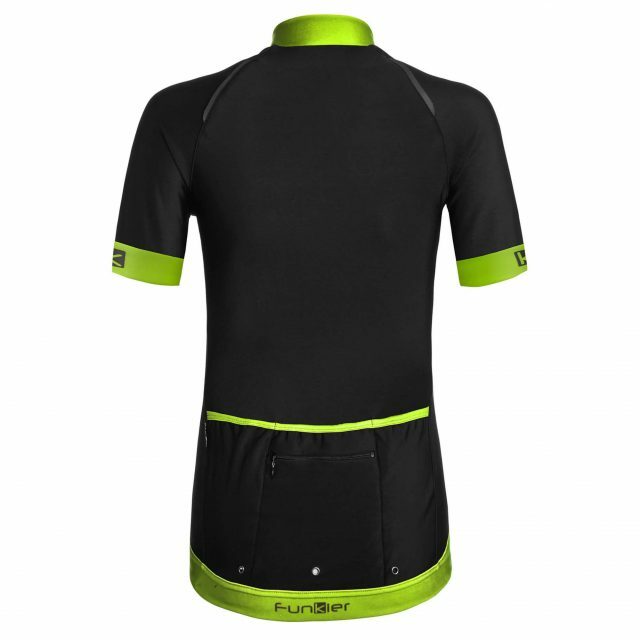 Funkier have paid attention to details too; there’s 3 dump pockets at the back, wide and deep enough to hold kit comfortably. In line with the wet weather purpose, there’s a hand zip pocket that’s also lined with a waterproof casing for your phone or cards. They also include drain holes on the pockets, which is the first I’ve tried with this feature. To be honest, I’m not sure I’d wear this on its own if the weather was so wild it required draining, but it shows the level of thought and consideration. 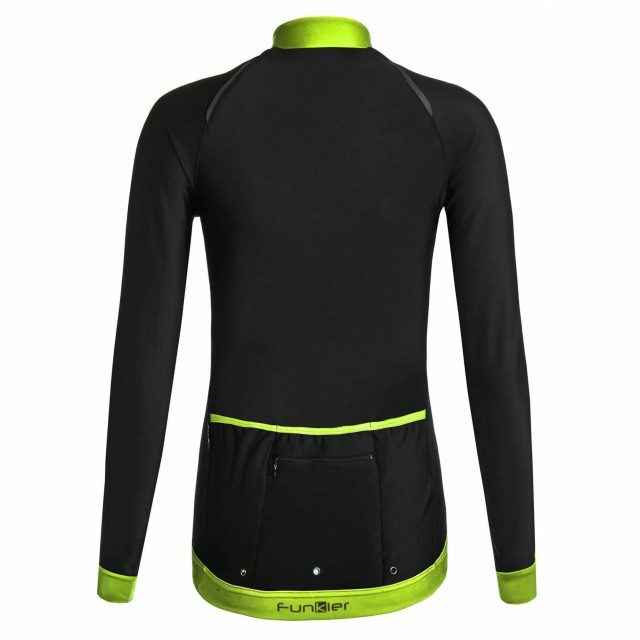 As a winter essential, I’d certainly recommend Funkier’s Bernalda thermal jersey.